I stumbled across this the other day, it’s a gem of a chart. Back in 2012 Nordstrom inno labs came up with this. 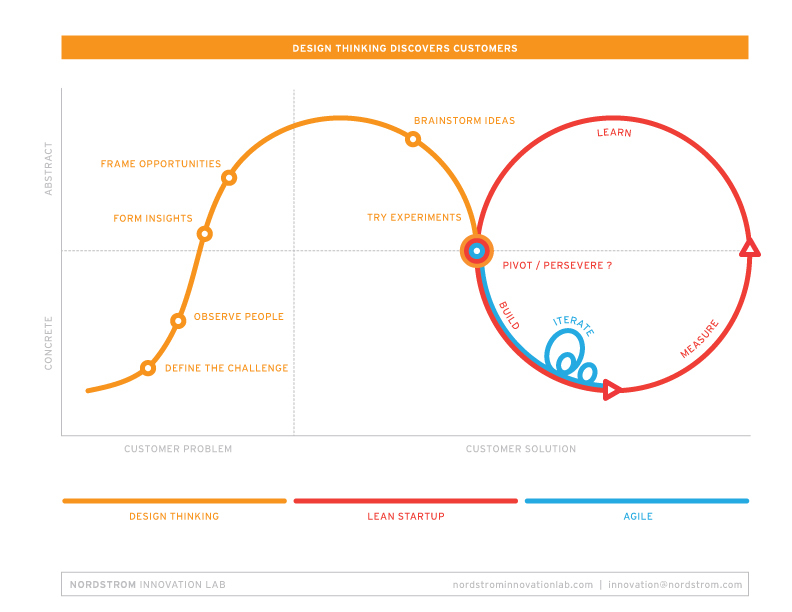 I really like the thinking between concrete and abstract and also agile and lean thinking.